Orion’s Reign were formed in 2005 in the central Greek city of Athens. With that incarnation, formed without a singer, the band explored instrumental paths and produced two promo CDs (‘Steel horizon’ and ‘The Guiding Light’) which found remarkable acceptance and gained the interest of both metal fans and the press. 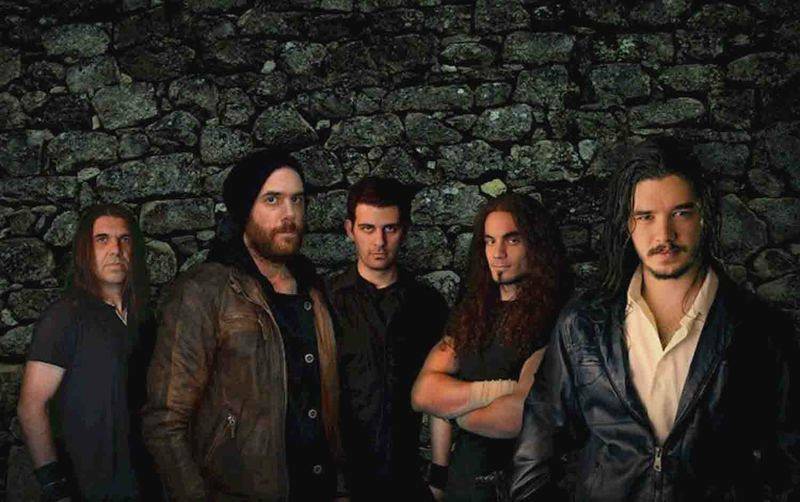 The group entered a competition for the Greek Heavy Metal and Metal Hammer Magazine and won a place on their upcoming CD “The Hellenic Assault” with the song “Steel Horizons”.In 2006 a page is turned in the band’s music approach to a more neoclassic–epic–power path and Yiannis joins the band as a lead singer. Shortly after the bands enters Fragile studios to record a 6-track EP, titled Beyond Eternity, including some songs from the upcoming full length release and a few other among them a Christmas cover of the song “The First Noel”.By the end of 2008 the band’s formation and the material receives extremely positive feedback as it has been sent to record labels, magazines all around the world, radio and tv stations. “The First Noel” is requested by a Greek Rock Radio station to be used as background music to its advertisement and it is also included in a Christmas compilation CD which cuts more than 5000 copies.The band enters the studio once again to record their first full length album. The recordings are completed by 2009 and CD is sent once again to label companies and magazines receiving flattering reviews (like the German Metal Hammer article which groups it in the most promising releases of the year, referring to the band as the power metal version of iron maiden and Yiannis as Dickinson’s Cousin.) By the end of 2009 beginning of 2010 Orion’s Reign come to an agreement With Rock It Up Records/ Ice Warrior Records and both parties finally sign a covenant and the collaboration begins. During January to March 2010 the band enters the studio again to record 5 brand new tracks, which are to be included in the Ice Warrior Deluxe Limited Edition Version on this release as bonus material. The Cd is entitled “Nuclear Winter” with 16 tracks and a lot of guests from band like Firewind, T.Ziras, Fragile Vastness, W.E.B. and more!After the departure of Themis Kostas and Yiannis from the band, the Line-up welcomed George on the guitars and the band starts to work with multiple singers, releasing songs as singles in Digital form. In 2016 Dan becomes the lead voice of Orion's reign. The band is now recording its second official album ,continuing in the meanwhile releasing extra material through digital platforms. 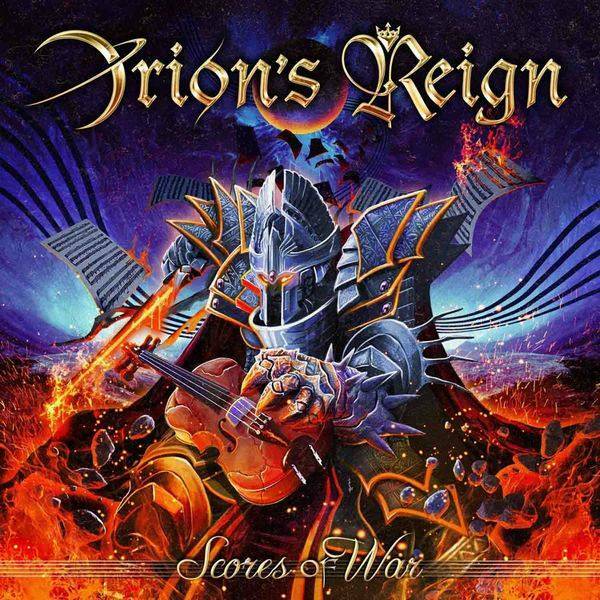 Orion's Reign are back with their second full-length studio album, "Scores Of War", set for an October 19 release by Pride & Joy Music. The album was engineered, mixed and mastered at Fascination Street Studios (Powerwolf, Arch Enemy, DragonForce, Amorphis, etc.) in Sweden by Jens Bergen, Linus Corneliusson and Orion's Reign, including 11 tracks of epic/symphonic metal. The band continues the music path it had already begun with the previous album "Nuclear Winter", offering this time a full symphonic experience profoundly influenced by epic movie scores, with a complete orchestra, bombastic rhythms, massive choirs and guest appearances such as Tim Ripper Owens (Judas Priest, Iced Earth), Bob Katsionis (Firewind), Mark Boals (Malmsteen) and others. The record is extremely diversified and contains much to explore, from symphonic speed metal to catchy (hard) rock sounds, as well as operatic refrains filigreeing rich emotionality. The single "The Undefeated Gaul" is the first appetizer of the album, with fast riffs, a heavy rhythm section and furious guitar solos! Stay tuned for more single releases!